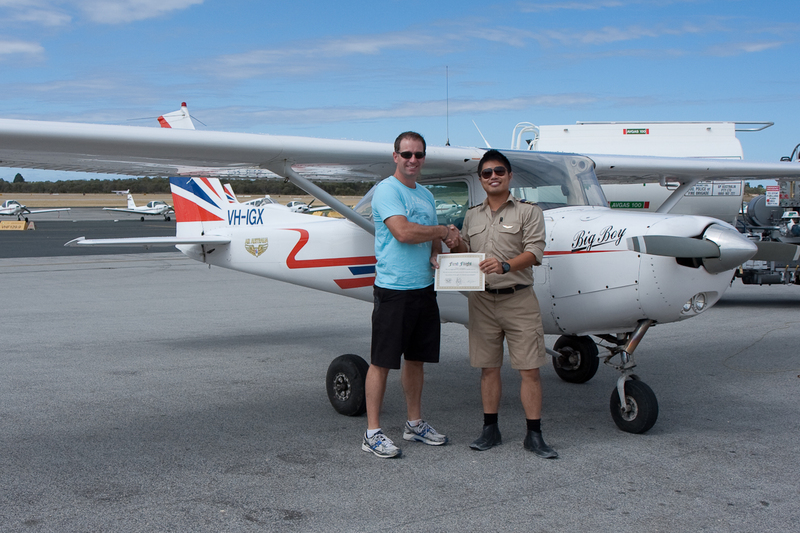 March 7th, 2011 was the day when I finally offloaded my instructor and took the skies alone. Fifteen hours on and I’m still smiling. A few weeks back when I didn’t get to go Solo, Steve said to me “Don’t worry mate, there are only a few firsts you remember in your life and your first solo is one of them. Mine was the … Tell me, can you remember the date the first time you, you know ;-)”. It was a bloody good point. He was right, I’ll never forgot this one, thats for sure. This entry was posted in cessna 152, Jandakot, Pilot License, Solo and tagged Cessna 152, First Solo, Flight, Jandakot, VH-IGX. Bookmark the permalink. Well Done Brett! looks like the perfect circuit and unlike the other first, went for the full six minutes, plus you get to keep the video. nice Landing. would like to see a blog entry on the camera you use and how you hooked it up to the radios etc. Rich. Awesome to be able to share your big moment! You look pretty damn comfortable up there, mind you, we didn’t get to hear the tone of your voice in the rest of your radio calls!